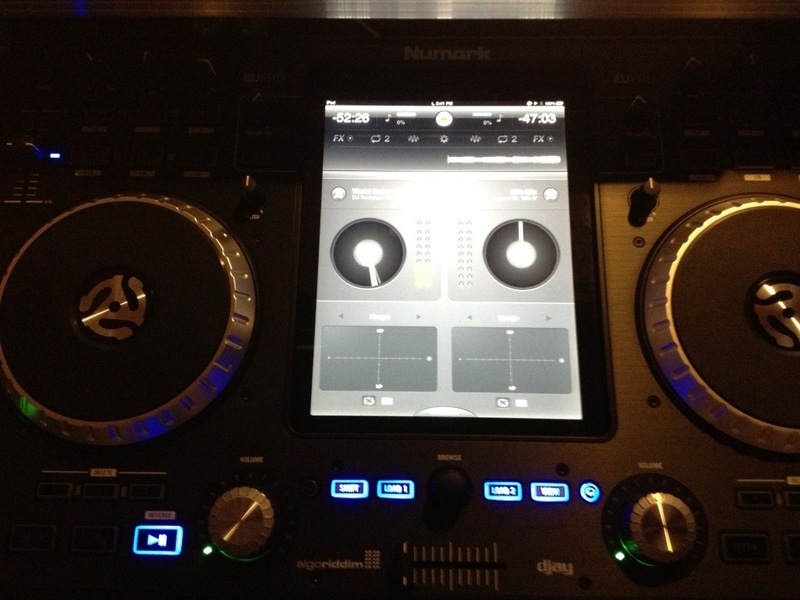 I made this special mix using my iDJ Pro and the new ‘djay 2’ app. 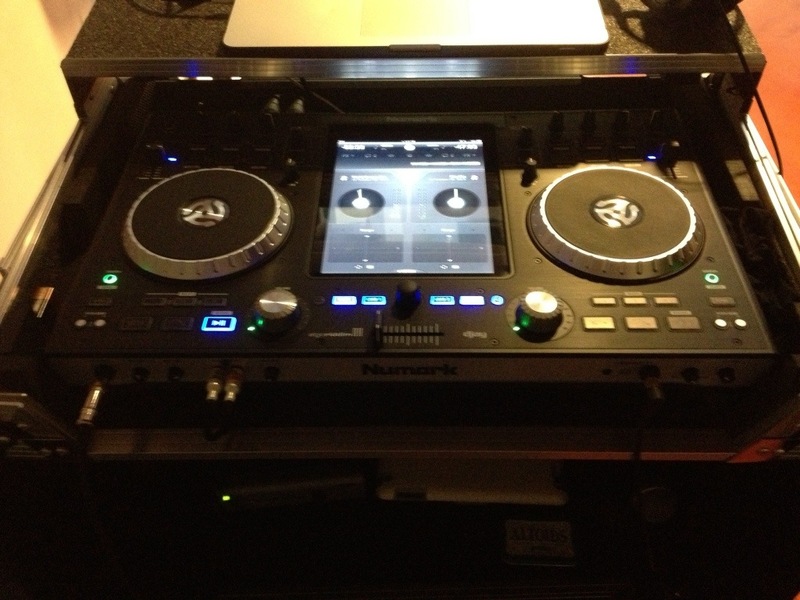 Still think using the iPad in a DJ setup is only a gimmick? The popularity of DJ apps for mobile devices is on a steady rise with names like Pioneer, Numark, and Vestax making controllers to work with those apps. With this advancement in mobility and smaller setups, there has also been an increase in concern over music storage. The limited storage space in laptops was easily circumvented with the option to attach external drives. External storage allowed DJs to carry an extra few hundred GBs of music as an emergency source of request-fillers. With the new possibility of DJs replacing their laptops with tablet devices, the biggest question facing DJs is whether tablets will have enough space to carry our music libraries [unless you have an Android tablet with SD card/external storage options]. In my specific situation, the hard limit of 64GB on the iPad had me worrying that I wouldn’t have enough music on hand for my gigs. I was able to stop worrying once I got over the initial shock of reduced storage and thought more about the nature and specifics of my music programming for mobile events. My perceived problem was the result of being stuck in the mindset of a club/radio mixshow DJ; this mentality dictates that I must create completely unique music sets at every event and avoid duplication. Mobile DJ events sit in stark contrast to club DJ residencies. Mobile parties are usually ‘one-timers’ [you may never encounter these people again] with a crowd that will often ask for the same song more than once. The locations may be different, but the partiers regularly want a lot of the same songs at each event- top 40, easily recognizable oldies, and certified dance floor anthems. Once I remembered the similarities in my mobile gigs, I realized that I didn’t need to carry 45,000 songs with me to EVERY event. Don’t get me wrong, it is nice to have a lot of options with your music library and even smart to be prepared for anything someone throws at you. However, it is unrealistic to think that you can anticipate absolutely any request from a party guest AND keep all of those songs with you at all times. Rather than carrying 5 hard drives around [risking loss, damage, theft], you should make sure you ALWAYS have the most popular and most often requested music with you at every event. A not so secret rule in the mobile DJ industry assumes that the vast majority of weddings/mitzvahs/parties can be thoroughly entertained with a standard set of 200 songs. The average mobile DJ set lasts around 4hrs; at an average of 3min per song, 20 songs per hour, you typically end up with just under 100 songs played at an event. Barring extremely rare requests from an exceptionally diverse crowd, the songs in that playlist are quite common between events. Taking that 200 song preparation list in mind, I honestly don’t NEED to bring more than 500 songs [less than 3GB] to an event when I properly plan and program for it. Going back to my concerns about limited iPad space, I would still have a lot of room to play with for music storage. Careful consideration of the specific event theme and anticipation of the ‘reasonable expectations’ of the crowd based on age groups will provide me with enough information to trim my ‘extra music’ to a storage size that will easily fit on the device. I currently use my iPad as a backup/emergency device for mobile events and always keep it synced with several playlists for specific styles/genres/events. I have the mandatory mobile DJ library of ‘DJ Tools/Platinum Series’ songs [4GB], the last 6 months of Top 40/Dance/Urban Promo Only ‘quick edit’ tracks [3GB], and a flexible playlist of specific or anticipated requests, dinner music sets, or cocktail hour mixes [2GB, depending on how paranoid I am]. That leaves me TONS of space, even if I only had a 16GB iPad. The new controller I have been blabbing about for weeks will test my theories, but I will be sure to have backup plans to keep the party going if it doesn’t meet my needs. If decide to go with an iPad-only setup and feel like I absolutely MUST carry my entire library with me, I may try looking into the Seagate GoFlex Satellite Mobile Wireless HDD [500GB].